As I’ve chipped away at the 50 Books Challenge of 2015, I’ve made mental notes along the way counting the top five (or ten) books I’ve loved the most. I just finished The Martian this morning and I’m telling you with confidence that this one is definitely in the Top Five. In short, botanist and astronaut Mark Watney was one of six crew members on a mission to Mars. While on the surface, a dust storm blew in and Watney suffered an injury that led his crew to believe he died. They evacuated, leaving his body behind. But he wasn’t dead, and unlike any sort of distance we could imagine on Earth, one just can’t turn around and go back to Mars. At nearly 400 pages, The Martian is an intense but often humorous rescue mission that is entirely and completely believable. 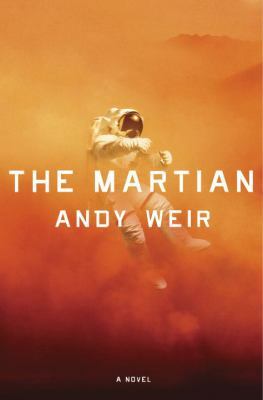 As people on Earth and in space scramble to find a way to rescue him, Watney crafts his own makeshift Martian home with the intention to survive until someone comes back to get him – whenever that might be. Through his almost daily logs, readers watch as he puts his botanist skills to use and calculates exactly how many sols (Martian days) he has until he’s run out of options, all while listening to disco, watching reruns of Threes Company, and reading Agatha Christie (pilfering his crew mates’ personal items). There’s a lot of math, but don’t let that deter you, because even after he’s tried to explain himself to us in space language he boils the situation down to language we can all understand. Only a few times did my eyes glaze over. Plot wise, the story is spot on. The tension builds, it hangs, it pulls and tugs. The characters are classic and true. I hope the movie cast reflects this. Speaking of, unless you’re totally out of touch, you know the movie version is out in theaters and I’ve heard nothing but positive reviews. Now that I’ve finished seeing The Martian in my imagination, I’m ready to see it on the big screen. If the cinematography in The Martian is anything like Interstellar, then it must be seen in the theater.